Fish King Kitchen in Eating World Food Court changed it's name from Soya King some time ago, which is a fine excuse to revisit a bunch of times. 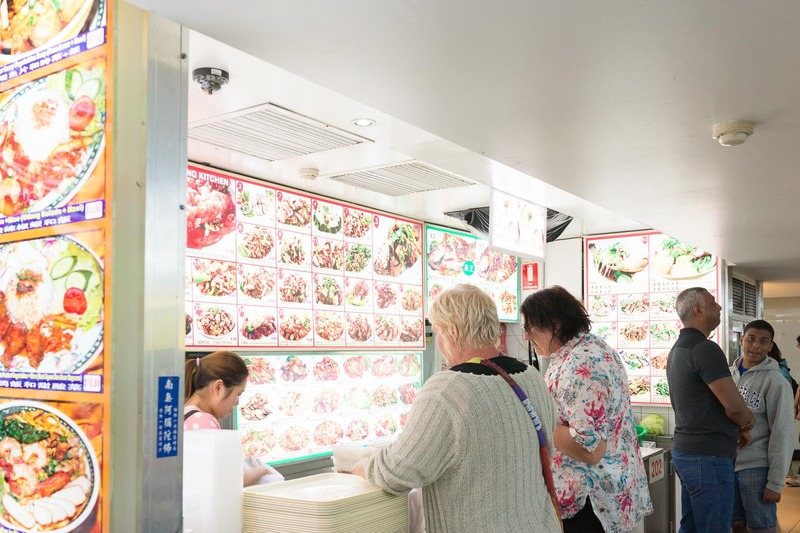 Fish King is the last of the great Canto stir fry stalls in Eating World, which means this always-busy stall is now even busier. If there's a scrum at the counter just dive in and order, these guys are true foodcourt pros. The cooks here are hardened vets, good'n'fast, and the counter staff can handle a crowd with ease. Some years ago this stall was a cult favourite amongst Chinese taxi driving uncles digging on whole fried fish. We don't see the old taxi drivers so much any more, a generational shift perhaps. The whole fried fish is still hugely popular though. The menu has a good mix of comfy old favourites and some hard-to-find dishes, even a couple of fancy-pants numbers, everybody goes home happy, or at least very full. These classic canto stir fry stalls are disappearing from our beloved Chinatown Foodcourts, we're enjoying them while we can. They've brought back a couple of old specials, they're on a little sign on the ceiling. 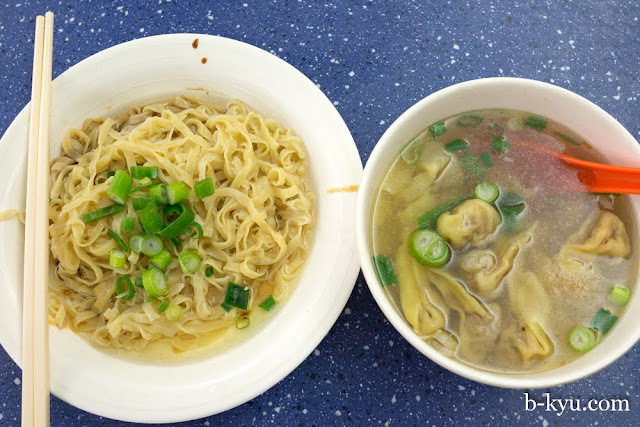 This one is Fujian style dumpling soup with braised noodle - about $10. The soup is a bunch of nice chumpy wontons in a plain broth tasting of stock and pepper. The noodles are plain at first but become something wonderful when they get mixed in the lighty peanut-ish sauce. It very much reminds us of the peanut-y noodles we've had in Xiamen (near Fujian) and also in Zhaoqing (nowhere near Fujian). Happy! 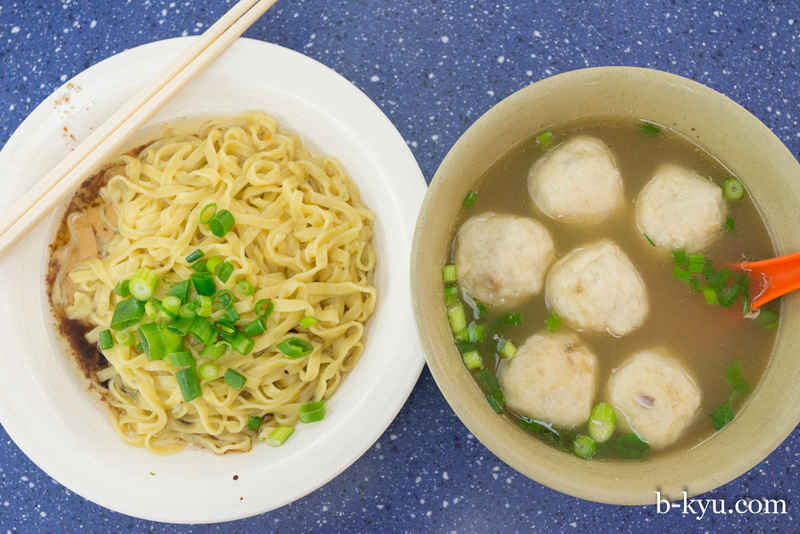 #88 Fish balls with braised noodles - $10. The same braised noodles as the previous dish, in the soup is five Fujian fishballs. Fujian fishballs are filled with pork mince. Anything is better filled with pork mince, even you. 81a fish fillet with tofu chili sauce - $11. 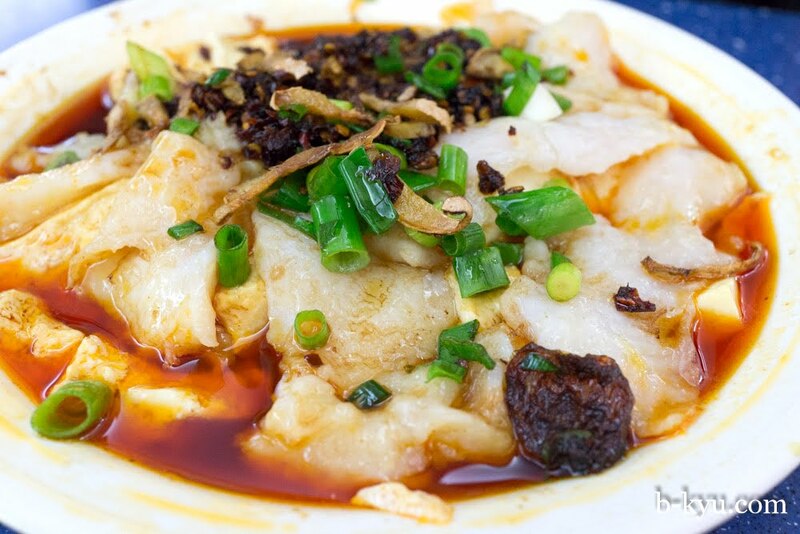 Poached basa fillets and soft tofu in chili oil with roasted chili on top. This has a good chili bite, didn't blow our heads of but certainly cleared our noses. We're more used to seeing this dish in a very plain sauce, bring on the chilli, we loved this alternate version. 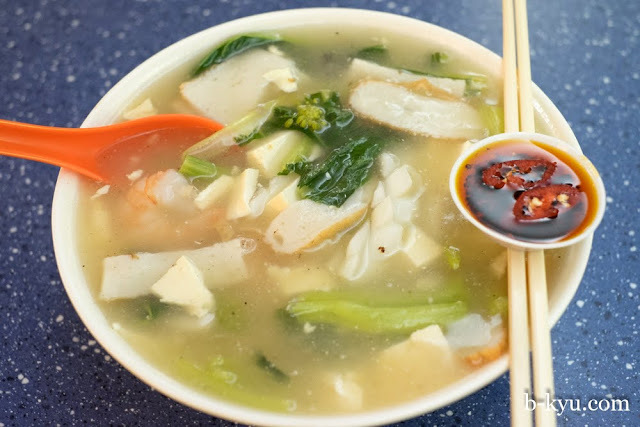 89b seafood soup with tofu - $9.80. A big bowl of plain peppery goopy broth with hunks of fish cake, squid tubes, prawns and Chinese greens. There's no noodles so no carbs, it's a big lo-cal hunger buster, soul soup. Chicken (or beef) in chili soya sauce with rice - $9.50. 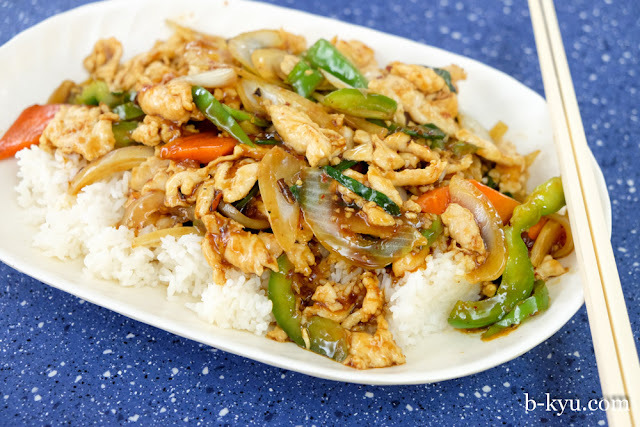 A good old fashioned stir fry with a bit of heat and a bit of sweet, as advertised. Hainan chicken rice - $9. 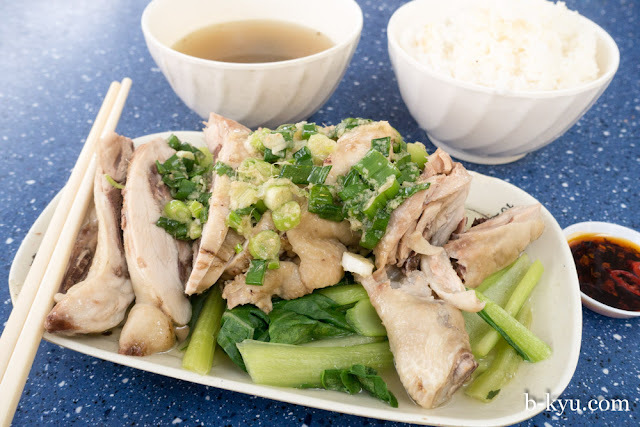 Steamed chicken thigh on the bone with smothering of ginger and shallot. The chook is served with plain rice and steamed greens, its hearty and healthy apart from a little oil in the ginger and shallot sauce. A Singaporean or Malaysian food nerd wouldn't rate this dish it but we are fans of chicken rice in all its many glorious forms. Sweet and sour whole fish - $11. A whole deep fried fish in a paddle pool of saucy goodness. Leek egg dry - $10. Stir fried sprouts, egg and tofu (or something like that, we'd had a few) - a nice light counter to the saucy fish. Stir fried pork tripe with pickled cabbage - $10. 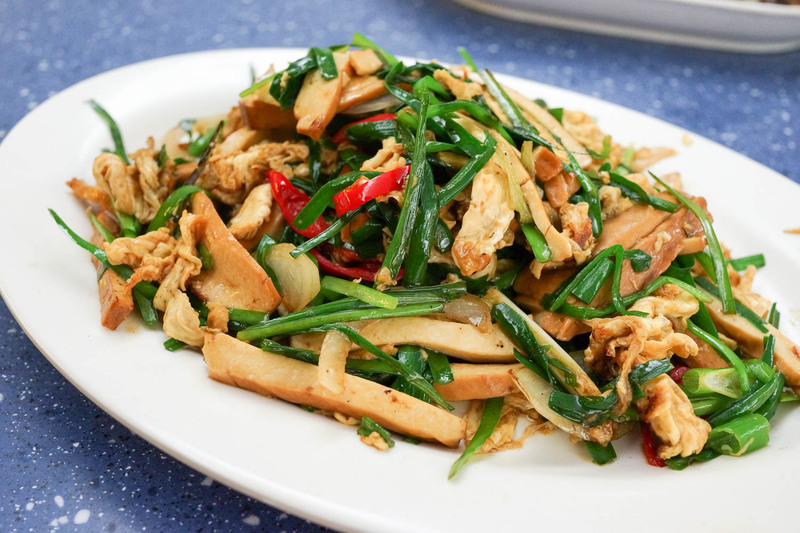 We've been digging offal in our stir fries of late - it has that bit of extra oomf over plain old chicken, and it has a lovely chumpy texture too. 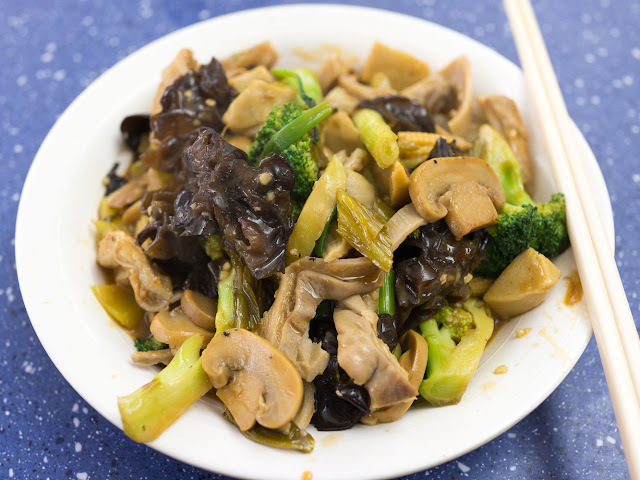 The offal flavours are mild and it works well amongst the loads of fresh veggies, mushrooms and tangy pickled cabbage. It's a country style dish in a simple brown sauce, filling and pretty healthy. 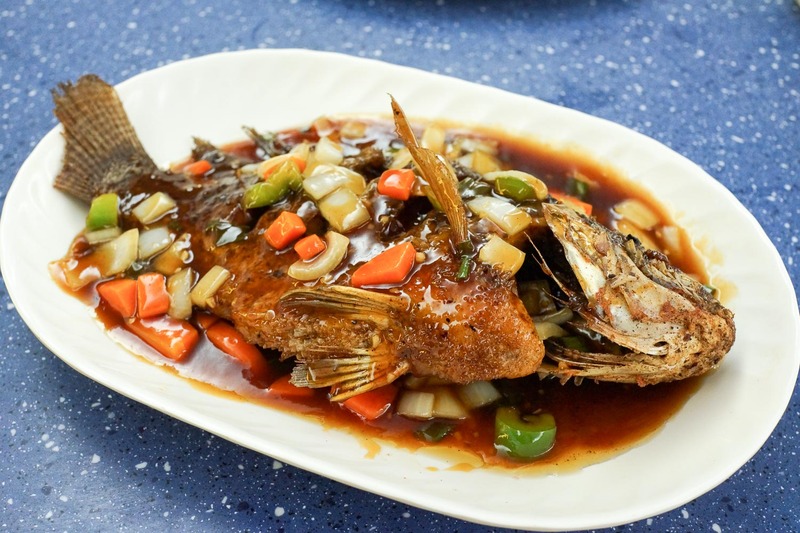 Fish King Kitchen is located within the seductive gourmet temptress that is Eating World Food Court, Chinatown. 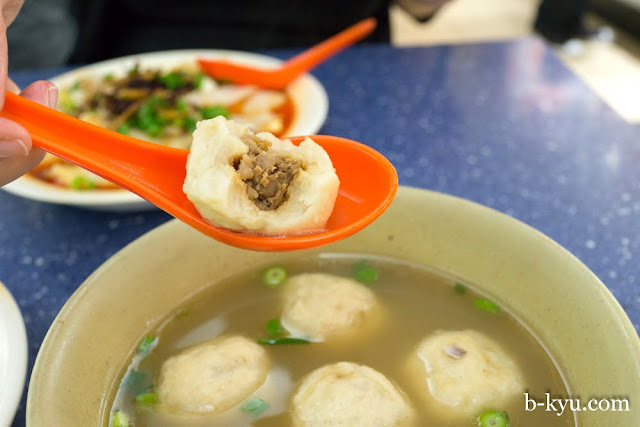 Fish balls stuffed with pork mince - that's brilliant! Must try.